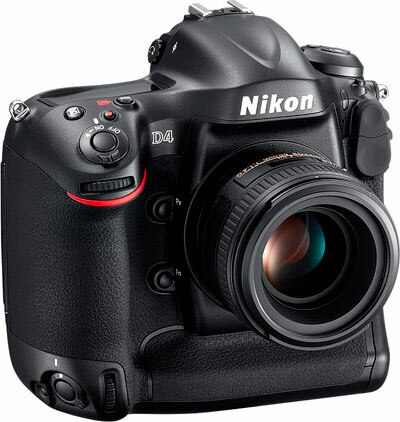 The Nikon D4 is a serious camera for serious photographers. Designed to handle any situation, it captures any event quickly and accurately. Its response is near instantaneous, and its many controls are easily customized. Nearly every setting is within reach of your fingers, allowing you to adjust quickly for any situation. Designed for professionals, the D4 can shoot continuously at 10 frames per second for up to 20 seconds sustained. Further all of the subsystems keep up at that speed, so you can put less effort towards the camera and more towards the image. The 16.2MP sensor is a complete new design unique only to the D4. It maintains an incredible dynamic range throughout its ISO range. This becomes obvious in the mid ISO range of 3200 to 12800, where you can still achieve stunning imagery. This review covers the new technology in the D4 and makes comparisons to previous models such as the D3s, and recent cameras such as the Nikon D800. 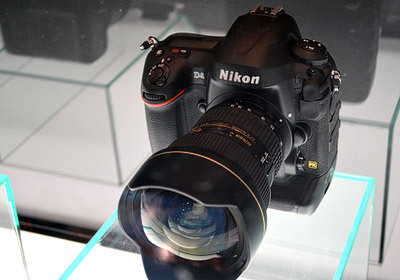 Nikon officially announced the Nikon D4 on January 6th, 2012, along with the Nikon 85mm f/1.8G. Although unlike the 85mm, the Nikon D4 is in short supply. 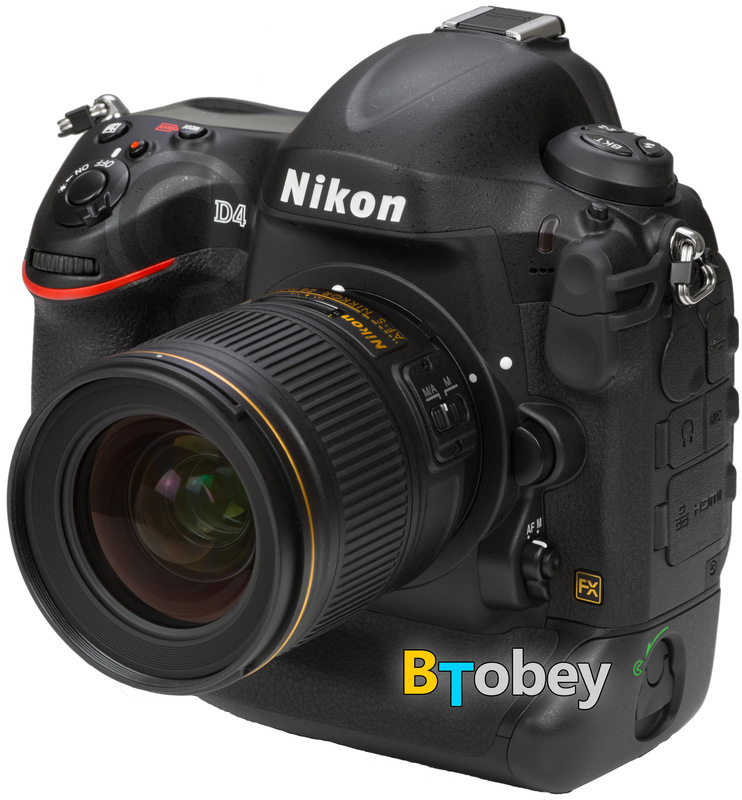 Nikon’s production schedule is set for 5,000 D4’s per month, and given that 2012 is a year of the summer Olympics, there is high demand for this professional DSLR. Furthermore, the D4’s original delivery date was pushed back from February 2012 to March 2012. As of June 2012 an aproximate 20,000 D4's have been produced. If you pre-order now, expect a 4 to 6 month delivery delay. Be wary of those who are underestimating the ISO performance of the D4. There are many discussions around the web on how the D800 can outperform the D4 through downsampling. Noise has several characteristics that contribute to the degradation of the image. Simple comparisons by upsampling or downsampling cannot accurately depict the noise response, both spectral aspects and RMS amplitude. Further, at higher ISOs, dynamic range and color depth decrease. I will be testing both cameras based on the ISO 12232:2006 standard. These results are more obvious by examining the recent DXO Optics testing. To me, what I find useful about the new Nikon D4 is the subtleties. Sure the improved ISO and added megapixels are nice, but what’s even better is the improved ergonomics, controls, speed, autofocus, metering, illuminated buttons, processing (EXPEED 3), and video capabilities with the full HD-SLR. Additionally, Nikon has paid close attention over the years to photographers rants and likes. For example, auto ISO is a great concept in theory, but it always lacked the ability to vary the shutter threshold based on the focal length. With zooms, it was always a disaster. Now, the new D4 provides the ability to vary Auto-ISO based on focal length. When recording video, you can see the audio levels on the rear display. These are just some simple things that seperate it from the D3 generation. 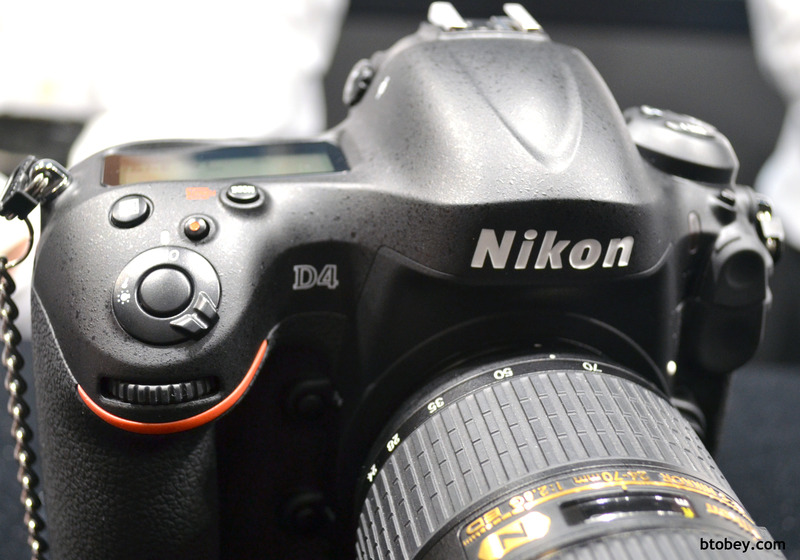 The Nikon D4 has a different feel than the previous generation, despite the similar shape. It is noticeably lighter than the D3 with more rounded curves. Its controls are positioned better for both vertical and landscape positions. The shutter release is positioned at a steeper slope. And although there are some improvements to the bottom grip for portrait orientation, it is still not as comfortable as the landscape orientation. The placement of the sub-multi selector joysticks is equidistant for both orientations. Overall the feel is comforting and encourages you to want to pick it up and start shooting. Additionally, there are more customizable buttons, an additional autofocus "on" button, and a new function button just next to the vertical shutter release. The vertical grip now includes a small thumb grip next to the rear dial. Like nearly all Nikon DSLRs, the D4 is ready to shoot just milliseconds from turn on. Surprisingly it takes longer to shut off than to turn on. 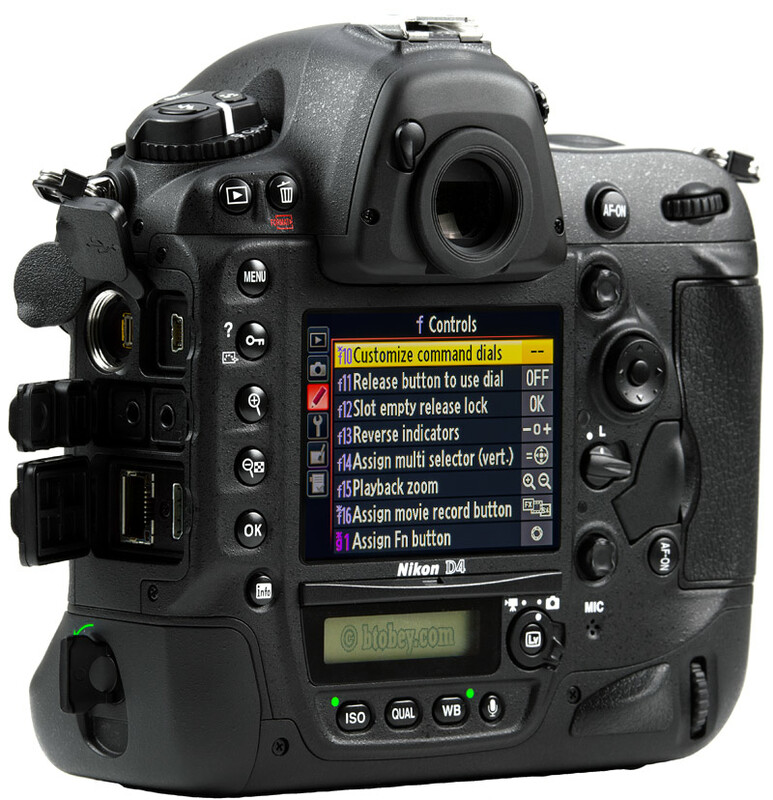 Although the controls are customizable, there are limitations, and Nikon does not permit all the functions embedded in the menu to be designated to a physical button. Instead you have to rely more on the shooting banks (A-D). For example I wanted to control the auto ISO shutter sensitivity from a customizable button, but I could not. 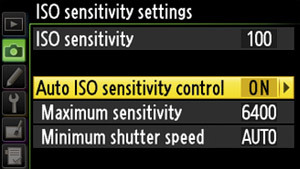 If this seems disappointing, worse yet, Nikon locked out even more control customization in the D800. There has been some control repositioning from the D3s, beyond just the vertical portrait control repositioning. 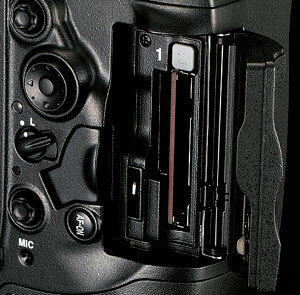 The new Nikon D4’s shutter release button is now positioned at a steeper 35 degrees as oppose to 29 of the D3. Not only is this more comfortable, it provides faster movement to the front dial and shutter release. This is a nice plus from the D3. Clearly the back has a bit of change from the previous D3s setup. What happened to the AE-L/AF-L button? Well Nikon ditched it for better support of vertical or portrait use. The protect button is now overloaded, and is used for picture controls when in shooting mode. They have added a video / still image lever, with the live-view button in the center. The info button is the same. The Zoom is no longer controlled by the dial. 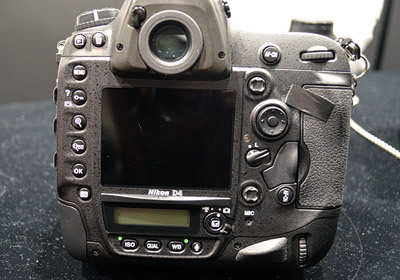 Nikon has adapted the D700 style zoom buttons. Nikon has implemented a D7000 autofocus control, which allows you to adjust autofocus settings all from the font AF switch. Press it and move the dial to change between autofocus area modes. This allows you to change the autofocus behavior while maintaining your eye on the viewfinder. Overall these changes bring powerful control. Nikon has placed significant effort on control, so you can keep your eye on the subject. The LCD is brighter, bigger, with more color, achieving near full sRGB spectrum. The LCD design uses a laminate inside to improve the angle of view. However, its resolution (921K Pixels) hasn’t changed from the prior 3.0" LCD design despite the size increase. The new auto brightness feature works decent. Sometimes it can be a bit too dim when used indoors, but more often than not, it works great. The LCD glass is uncoated which helps with smuge marks. Nikon does not supply a plastic protection cover. However, I found it odd that there are indentations at the top and bottom as if it were designed to support one. Although there has been much discussion around the web about how the LCD produces a greenish yellow tint and is not calibrated. I find it quite false. I have found it to be very accurate and totally agree with Nikon’s statement addressing the issue. Nikon claims the new 3.2” LCD produces a more accurate representation. After comparing it to my D700 in various lighting conditions I find the D700 to be a bit too blue and red. What is even more interesting is that the new LCD can produce more of the blue color spectrum than the older LCD of the D3 / D700. I suspect Nikon pushed the blues and red to compensate for inadequacies of the older 3.0” LCD of the D3 / D700. And the bottom line is find the new 3.2” LCD more green and yellow, but also more accurate to what I see with my own eyes. In our lab we do not have the calibration equipment to make exact measurements to ultimately conclude color accuracy. I won’t know the full image quality until I receive the D4. However, given Nikon’s reputation on quality, I suspect it will be superb. Better than anything we’ve seen before. You have to ask yourself, does this matter? Sure to professional photojournalists or sports photographers, but to the average wedding photographer? Probably not. If you already have an FX camera, the image quality is already beyond fantastic. The D4 just brings it a notch up. If you’re considering the D4 just because of its image quality, I would look elsewhere. Sure it’s impressive, but you have to admit that the previous FX camera’s Nikon has delivered are powerhouses that can take excellent photographs. 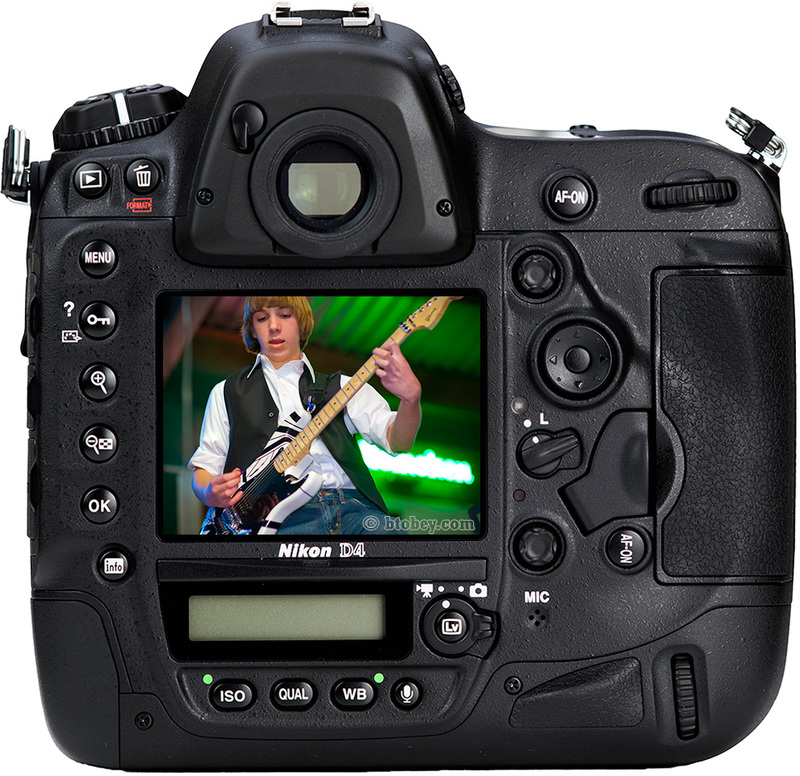 The Nikon D4 16.2MP sensor can output images up to 4,928 x 3,280 pixels, at 3:2 aspect ratio. The sensor has an pixel size of 7.3 microns, which is a bit smaller than the predecessor D3S, and D3 of 8.45 microns. Will the smaller pixel size affect its ISO performance? Probably so, this is mostly about physics and less about electrical engineering, contrary to what marketing would like you to believe. What about the pixel integrity compared to the D3S? If the D4 is similar, this should be considered an improvement, because the D4 has additional mega pixels. I believe the D4 will have a similar ISO performance to the D3S, but with 7.3 micron size pixels. Again, this is an improvement. See more below about the ISO and Dynamic Range. The new D4 sensor is expected to have an increased dynamic range over the D3S, particularly in the shadow detail. The D4 has a native ISO down to 100, where the D3S is only 200. However, this is actually misleading. I suspect the D4’s natural base ISO to be around ISO 79, and not 100. ISO 100 is used for simplicity, but it’s more like a LO 0.3, which means it adjusts the gain or attenuation of the sensor. The higher ISO is the tricky part. I bet the D3S has slightly better ISO performance around 25,600. However, the D4 may have better performance beyond that, hence, the HI4.0 at ISO 204,800. Ultimately this is going to come down to some rigid accurate testing. The detail may be too painful for some. But I hope to provide this information soon. Nikon D4 sample images are sprouting out around the web. The sample images from what I have seen are promising. When I receive the camera (late April), I will have samples and test shots provided. Until then you can see some samples on flickr. I am surprised at how well the auto ISO works. When shooting weddings, I can now focus more on people’s expressions and composition, and less on technical. The auto ISO sets the ISO automatically based on the focal length of the lens. Additionally, you can customize how the auto ISO chooses the shutter speed. You can set it to shoot more conservatively (faster) or slower (VR use). I set it to shoot between ISO 100 – 3200 and set it more conservatively for weddings. There are a couple of subtleties to the Auto ISO that I would like to share. First off, it works in manual mode. This brings a new dynamic to shooting in manual that most purists will not like. However I find it amazing. For example, when shooting weddings, I often require a shutter speed that can freeze the action. When using flash I prefer shooting between 1/125 and 1/250th of a second and typically shoot wide open (f/1.4). I can now setup exactly how I like to shoot and let the flash and auto ISO handle the right exposure. This is not like most photography, as I depend more on the flash TTL exposure and auto-ISO then I do on the fixed aperture and shutter speed. I have to say it feels weird but works great! The last feature of the ISO is about control. Although the auto ISO works great, there are always situations where you don’t need it, or you want to setup the shot at a set ISO. In this case, the D4 allows you to turn off ISO by simply pressing the ISO button and rotating the front dial. To turn it back on, just rotate the front dial again. This is just one of those small things that separate the D4 from amateur cameras. The D4 has plenty of connectivity. To name a few, it has new Ethernet jack (full-size), along with a proprietary connector for the new WT-5A WiFi adapter ($849). Additionally, for wired use, the D4 is equipped with a full size ethernet jack. The wired ethernet is a good alternative to using the expensive WT-5A. The D4 can be networked (WT-5A WiFi or Ethernet) and remotely controlled via software for PC and MAC, along with iPads, and iPhones! Additionally, it will have better audio connection, with microphone stereo input, and headphone jack for monitoring audio during video recordings. Also a mini-USB (USB 2.0) and an uncompressed HDMI (mini-C) port, for use with live video recording and playback. The D4 does not use the same battery as the D3 did. Nikon had to adapt to more stringent Japanese regulations for lithium ion batteries. The D4 uses the EN-EL18 battery (2000 mAh). And although it has less capacity than the D3, I find I can shoot over 1500 photos on a single charge. Nikon’s battery life spec seems conservative to how it can actually perform. I do not have a thorough analysis on video usage yet. According to one of Nikon’s engineers, they claim that the new battery can deliver more current demand for a longer period of time than the prior D3 EN-EL4a. One disappointment is the increased cost of the EN-EL18. The new battery costs 55% more than the prior EN-EL4a at just under $170 USD. You can purchase it from Adorama. At 11 FPS, the D4’s shutter is tough and durable. You can imediatly hear it by the sound it produces. Nikon rates it at 400,000 cycles. Now this is a statistical reliability number, and is probably the 2 sigma point. I suspect many D4’s will last well beyond 400,000 cycles. The shutter’s top speed is 1/8000th of a second. The D1 had a top shutter speed of 1/1600th. The D5000, an entry level DX camera, was the first to feature a quiet mode and now the D4 is the first FX camera to feature a “Quiet” Mode. This will fire the mirror slower on its return cycle. I find the audible difference to be moderate. It's far from silent but definitly noticably quieter. You can enable quiet mode from the top shooting mode dial. The viewfinder covers 100% of the image for more accurate framing. And although the D800 features the same 100% coverage, it is a much different experience with the D4. The D4’s autofocus points are individual illuminating elements with adjustable brightness. Additionally the autofocus modes are visible in the viewfinder (AF-S or AF-C). The viewfinder is an optical pentatprism with 0.7X magnification adjustable for -3 to +1 diopters. All of the D4’s monochrome LCD’s light up just like the D3 generation did. 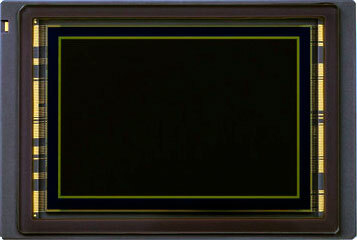 The LCD illumination is a greenish blue hue that is uniform throughout the LCD. This differs from the D800 / D700 as they only have a single side illumination producing a more uneven distribution of light. New to the D4 is illuminating buttons. For me this helps out greatly. The bottom rear buttons (ISO, WB, QUAL, MIC) light up, along with the rear side buttons (MENU, KEY, ZOOM, OK, INFO). Also the live view button illuminates with its marker position. At the top, the BKT FLASH and METERING button illuminate. Lastly the shooting mode marker illuminates so you can see which mode you are in (S, CL, CH, etc). 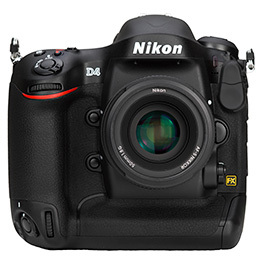 The Nikon D4 is about 5% lighter than the previous D3s and D3. 5 percent is just enough to be noticable. The new Nikon D4 weighs 1180 grams (41.6 oz). The D3s weighs 1240 grams (43.7 oz). More capbility, better controls, all in a lighter package! With any new technology, it is important to maintain current technology as well. Nikon did this with its new XQD partnership with Sony. The Nikon D4 supports both compact flash and Sony XQD cards, each with their own slot. It is a gift and a curse. The new XQD permits high speed DMA transfers required for both video and still image buffer off loading. And although compact flash cards continue to improve speeds, the new XQD format is smaller and scalable for future expectations. Should this new XQD standard become popular, which I am still skeptical, the D4 will be more compatible for the future. Yes the new XQD cards are expensive and have limited availability. And yes I would personally prefer dual CF cards. However, my tastes may change eventually. This may turn out to be a genius move by Nikon or a complete bust. Nikon claims that the EXPEED 3 processing to be 1.3 times faster than the EXPEED 2 of the D3s, or 30%. Keep in mind that not all EXPEED is created equal. In comparison, the transfer buses and memory buffers are much faster than the EXPEED 3 of the D3200. Sure the technology is similar, but the D4 has a more beefy implementation, with larger cache sizes compared to the Nikon D3200’s EXPEED 3 system. Using the new XQD cards, we should expect 110 raw 14 bit buffered images. The Nikon D4 can shoot at 10fps FX, or 11fps with autofocus and exposure locked on the initial frame. What’s most interesting, is the D4 is relying mostly on the XQD / CF card to offload the buffer, as Nikon has not expanded the size of the buffer from the D3s, instead only the bus speed. Nikon has improved the autofocus system to now focus in tougher light. Operating at -2 EV, it can handle an f/8 lens, allowing better autofocus with teleconverters. I find the autofocus to be incredibly accurate, more accurate than any camera I’ve used before. I often use f/1.4 primes which require extreme focus accuracy. When firing away with the D4 I am sometimes unsure if I correctly acquired focus, yet upon image review, the focus is tack on. The D4 amazes me constantly on how quick and accurate it can autofocus. No more do I need to double tap to ensure focus, the D4 just nails it instantly, even with the subject in motion. This is a big improvement over my experience with the D700 and D3. The bottom line is that this is a huge advantage, especially for sports and weddings, etc. When you’re depending on your autofocus system in low-light situations, the D4’s autofocus will assure greater and faster accuracy over the D3s. The 91K pixel RGB metering system is a subtle improvement over past Nikon systems. It is most noticeable when using TTL flash, particularly i-TTL-BL mode. The D4 is the first Nikon DSLR to independently control flash exposure compensation and camera exposure compensation. On previous cameras, increasing camera exposure would also increase the flash exposure, when shooting in a non manual mode. Now, the extra step of compensating for both is removed with the D4's uncoupled flash exposure compensation. Finally! Read more at Nikon's website. The Nikon D4 offers a new Auto ISO functionality that incorporates the lens' focal length into the equation when in P or A modes. The D4 and D800 are among the first to implement an Auto ISO to account for the lens' focal length. To set "Auto ISO" to control the shutter threshold using the inverse of the focal length of the lens, set Auto ISO to "ON" and set the maximum sensitivity and minimum shutter speed to AUTO. From there, you can adjust the speed of the focal length interpretation speed. Auto ISO can be controlled easily by pressing the ISO button and rotating the sub-command dial! Nikon is a little late for full HD capability. But this new camera doesn’t fall short, with improved processing, H.264 encoding, 1080p 30fps, 720p 60fps, uncompressed hdmi 422 8-bit output, optional 2.7x crop factor of 16:9 ratio. Rolling shutter will no longer be an issue, as the D4 has incredible fast bus speeds to offload sensor data. Also, unlike the D7000, you will be able to overlay a histogram in liveview during recording. More control is provided than ever before. You can adjust the shutter speed, aperture, and ISO on the fly while recording. The audio fidelity has been improved as well. A headphone jack is available for audio monitoring, and the audio levels can be seen from the rear LCD during live video recording. However, obviously when comparing it to RED or Canon Cinema EOS, Nikon has no shot here, as these are in a different league of video competency. But as an intended DSLR sill camera, it is probably Nikon's best, and equivalent or better to Canon's 1D X. Remember that Nikon introduced video to DLSRs with the introduction of the Nikon D90. Keep in mind there is a 60 minute timeout for live view with HDMI output. So when using external recording device, you will have to re-record after the timeout. The normal internal memory card recording of the camera is only ~29 minutes. Nikon’s new Live Frame Grab allows you to take still images while recording HD video. However, this feature disables the ability to shoot continuous, and only records images at 1080p or 2MP. Although I do not find this feature at all useful, some photojournalist and event photographers will. Below is a video shot by Corey Rich using the Nikon D4 exclusively. It's titled "WHY". Although there is some level of compression with Vimeo, you can still get a glimpse of the performance. Later, they show off the 60fps, and slow down a waterfall shot. Corey and his team did a nice job. Further, below is hands on preview of the D4 with a focus discussion about its video capabilities. James Banfield, from Nikon UK, provides a concise preview of the D4’s video functions and capabilities. Lastly Joe McNally put this short video. He is the photographer who typically shoots Nikon's sample images, as he did so for the Nikon D4. Below are some preliminary videos that surfaced on Youtube just after the announcement. These are the videos closest to the action, as they were posted by people at the event. The “D4 product tour” video was released officially by Nikon Australia. 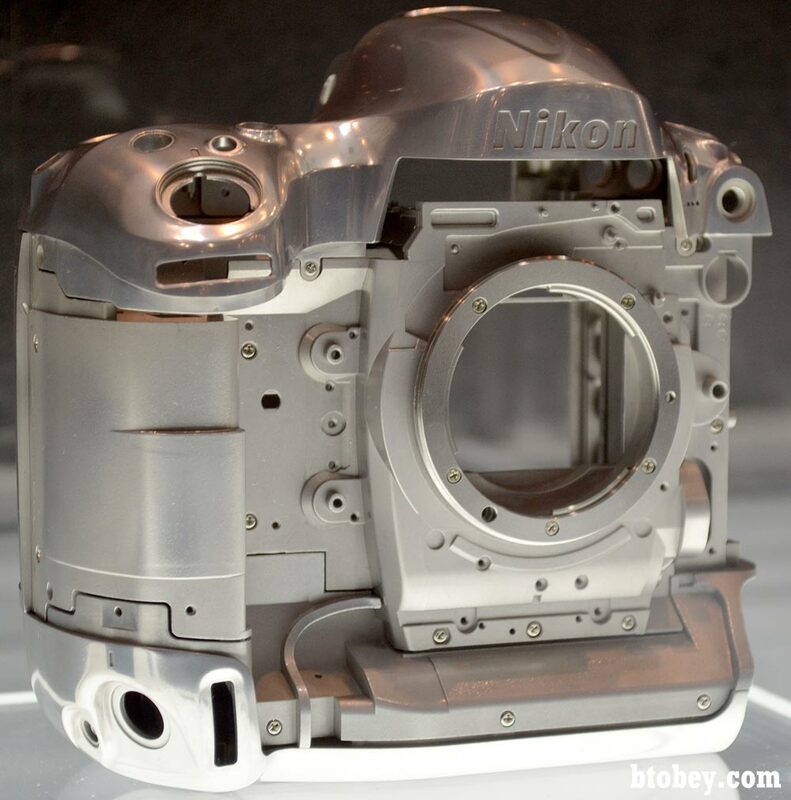 The overall structure is built up of a magnesium alloy body, obviously environmentally sealed similarly to the D3s. The internals are built for durability, with its shutter rated up to 400,000 cycles. The viewfinder is a penta-prism with 100% visual coverage. The consumer electronic show (CES) 2012 in Las Vegas, NV was held on January 10th - 13th, 2012. Nikon showed off there new flagship, the Nikon D4, along with their 85mm f/1.8g prime lens. See more CES Action and read more on some other hot cameras, like the Canon G1X, and Fujifilm X-Pro1. I have pre-ordered a D4 and look forward to receiving it. As soon as it arrives (Late March, according to Adorama), I will complete this review. As I continue to use it, I will add to the review to note all its subtleties and enhancements. Check back frequently, or follow me on google+ or twitter. I will be posting a D3S review page soon. I have been tracking some used pricing data for the D3S. We shall see how much it drops. So far I have seen some used sales at $4300 USD. Take a look at all the used D3S available on eBay . Clearly the D3S is no chump camera. Some may argue that the Nikon D4 is too much camera, with more capability than any of us need. For those few, would you prefer Nikon produce a camera with fewer MP and ISO? Probably not. Yea the price may be a bit high, but blame that on the recent exchange rate. Consider music as an analogy. The Beatles enjoyed experimenting. No I do not mean drugs. I mean new kinds of instruments, like the moog synthesizer. They made it work, complimenting their songs. In today's pop music, synthesizers are regularly used, with new genres built around various techno rhythms and electronic sounds. Sure some hate it, but others enjoy it. Although most electronics are often more distracting than useful, those of us with some creative visions, willing to stay focused, may take the D4 to new areas that haven’t been explored. The recent digital photography advancements maybe similar to the synthesizer, some will sit back and critique, while others will create. 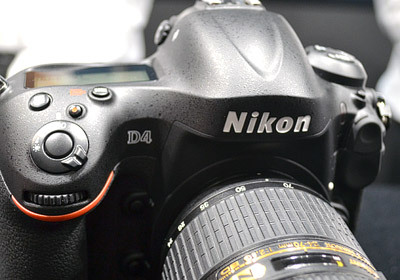 There is an abundant of information on the web about the Nikon D4. Most of it is just a repeat of what Nikon has already published. Joe McNally is different. He is typically one of the first to get Nikon's newest products. Check out his blog to see him in action with the D4! Joe McNally shooting the D4.